Peter Capaldi's Doctor - unpredictable, embattled, mercurial - has raised many fresh issues for fans of the Time Lord. 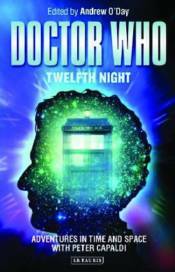 In this book, international experts on the show have been brought together to explore the era of Capaldi and Steven Moffat. They evaluate the effect of Capaldi's older age on the series' pace and themes; his Scottishness and representations of Scotland in Doctor Who's history, and the roles of the Doctor's female companions. The politics of war are addressed, as is the development of UNIT in the show, as well as controversial portrayals of the afterlife and of immortality. There's discussion of promotional discourses in the public sphere worldwide, of imagining the twelfth Doctor in fan fiction and fan art, fan responses to the re-gendering of the Master as female, and Christmas television and the uncanny.